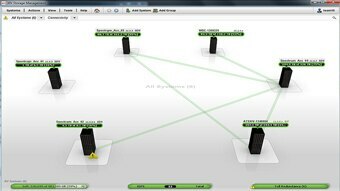 IBM Spectrum Accelerate is a software-defined block storage solution designed for rapid and flexible deployment across heterogeneous infrastructure on and off premises. 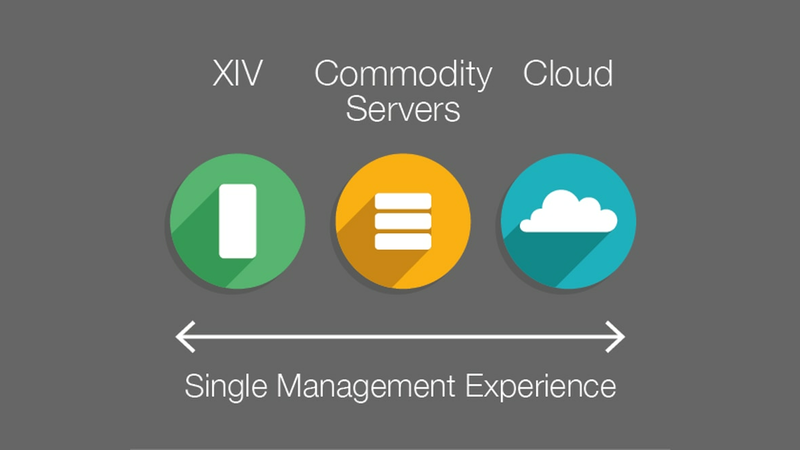 It can be deployed on your choice of servers: x86 commodity-choice hardware, integrated appliances (including IBM XIV Storage System Gen3 and pre-validated third party appliances), and IBM public cloud. 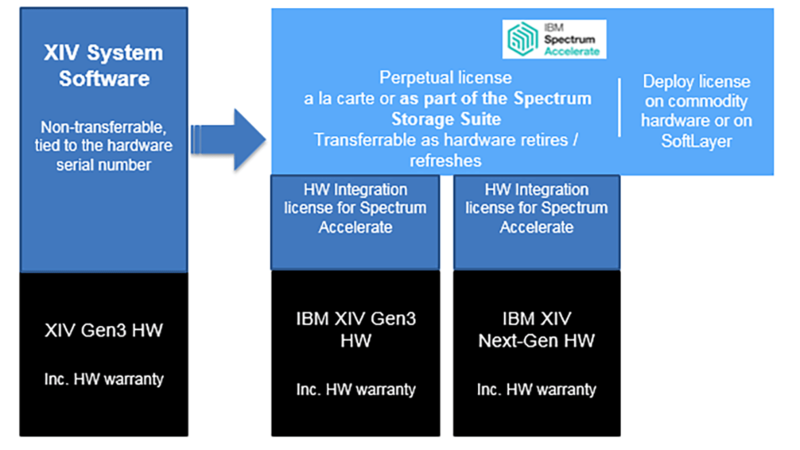 Based on proven XIV technology, it provides the block storage component of IBM Spectrum Storage, and extends flexibly through IBM Spectrum Storage suite-level and IBM Spectrum Accelerate ecosystem-level licensing.